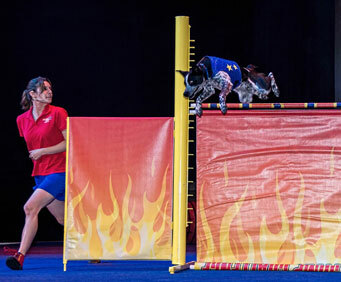 Watch in amazement as Chris Perondi and his incredible pooches bring you a show unlike any you've seen before with Chris Peronid's Stunt Dog Experience! 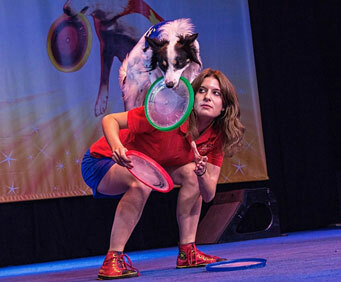 Chris Perondi and his talented cast of canines have assembled and amazing two-hour long show complete with dizzy dancing, amazing acrobatics, obstacles, high jumping and so much more! 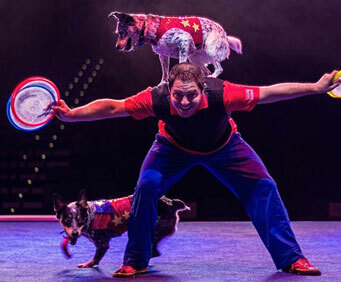 Joined by four other trainers on the three-sided stage, Chris Perondi is a skilled animal trainer who has traveled all over the country with his talented friends. 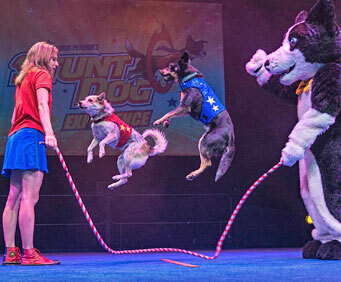 Parents and kids alike will love seeing Chris and his brilliant band of canine performers deliver high-energy performances from beginning to end! No stranger to Branson, Chris has performed at Silver Dollar City during Kids Fest and is sure to dazzle Branson families with this energetic show! All of the pups in the show have been rescued and Chris Perondi is a strong supporter of animal rescue. Support these pups and the talented Chris Perondi by booking your tickets today!